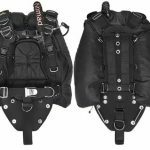 Disclaimer: The opinions expressed in this article are those of the author, and they do not reflect in any way those of the dive training agencies to which he is affiliated. 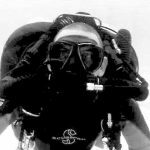 Information presented in this article is not intended to advocate breaching the Safe Diving Practices taught by your scuba training agency. 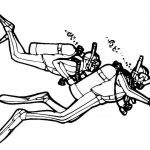 I see lots of recreational divers, from novice to experienced instructor, erring towards a very, very slow ascent rate; often as low as 3m/min (9ft /min). The general concept behind this approach seems to be “slower is better” or “as slow as possible“. 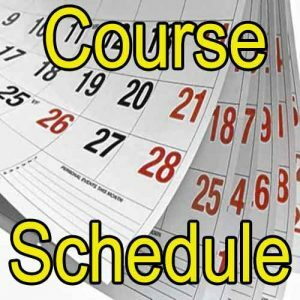 I think this stems from the fact that dive training, or computer instruction manuals, only communicate a “maximum ascent speed”, and pay little heed to an “ideal ascent speed”. Whilst the generic advice to “slowly ascend from every dive” is valid, there can be such as thing as ‘too slow’. Training and experience are necessary for controlled ascent speeds and accurate stops. Stating only a maximum ascent speed is overly simplistic and, IMHO, primarily liability-driven. 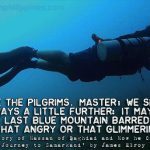 Of course, it is important to have a max ascent speed – we decompress as we ascend, so our speed is a critical method of ensuring that the necessary off-gassing occurs (even on recreational dives) to prevent symptomatic inert-gas bubbles from causing us harm. Firstly, because a too slow ascent causes us to remain deeper for longer – we can still be on-gassing into slower tissues in that instance, even if simultaneously off-gassing from faster tissues. 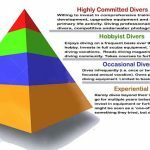 However, that issue is generally not a paramount concern for recreational divers (although it does become more critical on deep recreational dives, or when multi-day repetitive diving). No-stop (no-deco) limits applied to recreational diving tend to insulate us very effectively from extensive slow tissue inert-gas saturation. Secondly, there is a factor should cause more concern within recreational diving parameters. 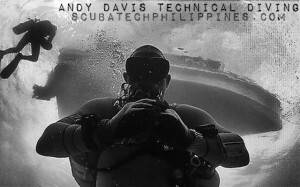 That factor is that the algorithms used to control our computer/table dive planning instruments should require a certain level of differential between tissue pressures inside/outside the body (tissues-blood-lungs-ambient). A differential gradient has to exist for the body to either on-gas or off-gas. The concept of differential/gradients is explained in articles contained in my Decompression Theory Resources library. Too much differential (too fast ascent) causes bubbles to form before inert gas can be sufficiently de-saturated. Most of us understand that concept. Too little differential (too slow ascent) causes our decompression to become less effective; we de-saturate less efficiently. This means we retain more nitrogen, even if that nitrogen doesn’t form into symptomatic bubbles (i.e. clinical ‘bends’). 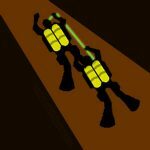 Bubbles will form on ascent (they do… for all of us, on every dive) but with a controlled ascent (max ascent speed) their size doesn’t grow large enough to cause us physical damage. They remain sub-clinical – not requiring medical treatment and generally not recognized as ‘symptomatic’ of the bends. But they exist and they can still have a physiological effect on us… primarily in the form of post-dive fatigue. The existence of sub-clinical bubbles is well understood by decompression theorists and researchers. Those ‘micro’ bubbles can be identified and counted using modern medical technology, such as; MRI and Doppler ultrasound. 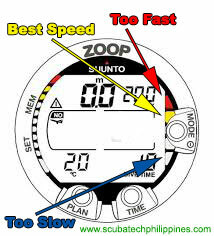 Furthermore, the number of those bubbles has been proven to relate directly to the profile of the diver’s ascent from depth; ascent speed and stops. 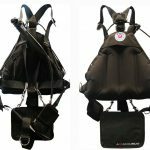 Testing for sub-clinical microbubbles has validated both the need for controlled ascent rates and the benefit of safety stops. The table (below) was published in a DAN article examining varied approaches to ascent profiles. It was particularly focused upon fast tissue compartments (those most critical on recreational, no-stop dives). The ‘bubble score’ indicates the level of micro (sub-clinical) bubbles recorded in test divers via doppler ultra-sound testing. The higher the score, the more bubbles were recorded. It is surprising to note that the slowest ascent rate (3 m/min) provided the highest bubble score (although no safety stop was conducted, which also heavily influences bubble score). Faster ascents (9 m/min), with safety stops, significantly reduced the existence of bubbles measured in the test divers. 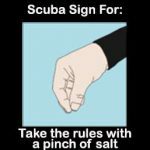 THAT is what technical divers understand; because they tend to be more ‘self-aware’ and ‘self-diagnostic’ of their physiological state after surfacing from their dives. They also have a more intimate understanding of ‘gradient factors’ (pressure differentials) with respect to off-gassing efficiency versus the risk of DCS. 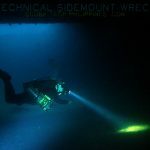 Technical divers follow an accurate, optimized, pre-defined ascent rate, and are not merely constrained to remain below a ‘maximum speed’. When they get their ascent ‘right’ with considerable precision, they feel much fresher after a dive. 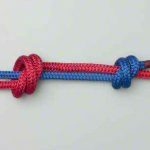 When the ascent is improper, they feel fatigue or malaise in varying degrees… even if they don’t get bent. It’d be easy to dismiss that as a “tekkie thing”, but the physics and physiology apply equally consistently to recreational divers. 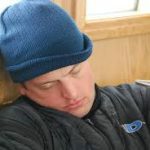 Likewise, the instance of recreational divers feeling that post-dive fatigue is equally well understood. Most of us have felt that… for some, it’s a routine, normal occurrence. 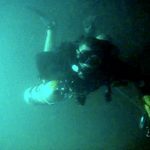 I dive nearly every day… if I didn’t deal with issues relating to post-dive fatigue then I’d live my life like a zombie. 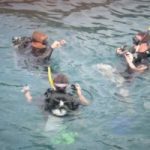 Recreational divers may not dive frequently enough to see that as a critical issue in life, but heck… who wants to be ‘zombiefied’ every night on your vacation? I do want to be clear… this is not a “safety” issue because we’re not talking about clinical DCS (or exceeding max ascent speeds)… it’s a ‘quality of diving experience issue‘. 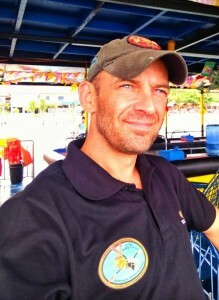 I’m sure that I’m not the only diver who doesn’t want to feel lethargic and sleepy after a day of diving. I’d much rather feel sprightly, energetic and fresh, and I DO, when I maintain an optimal (“best”) ascent speed. I began applying ‘best’ ascent speeds quite some time ago. 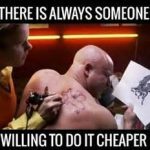 It may be subjective, but I notice a direct benefit from that. 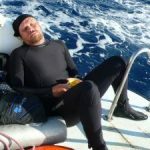 Over thousands of dives, I’ve learned to understand my own physiological sensations, especially my post-dive vital energy. There are some dives when I cannot apply ‘best ascent speed’, for instance, on certain training dives or when topography insists otherwise and I notice the negative impact of that. I encourage my students to assess themselves post-dive and compare this against their dive profile, especially the ascent (off-gassing phase). 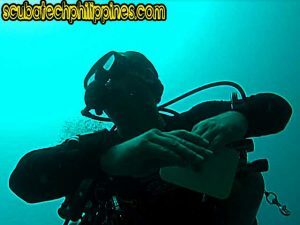 It can be revealing, and I encourage other divers to consider doing that also; to record it in their log book. The results, over time, can be revealing. 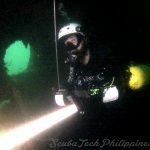 In practice, my ‘best’ ascent speed on recreational dives is 9-10m /min (30-33ft per min). That’s easy to track if using a dive computer. It’s right on the border-line before the fast-ascent alarm rings. My computer has 6 ‘bars’ of ascent. The ‘max’ speed on most computers is ~10mpm (33ftpm) – and that’s my ‘best’ ascent speed. On my diving computer display; 3 bars are in the ‘black/white’, then a bar in the ‘yellow’ (‘caution’) and a bar in the ‘red’ (‘warning’). Each bar displayed indicates a step of 2.5m /min. I ascend in the yellow… at the limit…. to my safety stop. Note: from my safety stop to the surface is always slow… taking at least 1 further minute. Again, in practice, I apply a more refined approach to safety stops than a simple “3 min at 5m“. 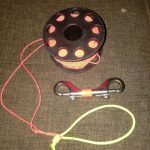 I use the ANDI ascent profile, which gives consecutive stops at 9m, 6m and 3m. That improves my post-dive experience also… but the explanation of this is another story. 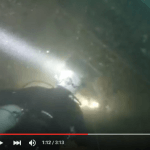 It’s fair to understand a novice diver’s willingness to “err on the side of caution” with respect to ascent speed. Going slower on ascent helps prevent accidentally excessive speeds (computer alarm ringing). However, it is also untrue to consider ‘slower is better’ to be an optimal strategy for efficient decompression, especially in relation to sub-clinical DCS and the avoidance of post-dive fatigue. 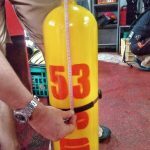 As the novice diver develops better control in the water column, they should aspire towards maintaining a controlled and optimal ascent rate.